Whether it’s drift fishing, anchor fishing, lake fishing, river fishing or bank fishing, one thing’s clear: you love to fish. 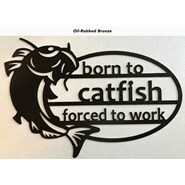 At Tangling with Catfish™, we know the feeling. 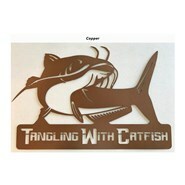 Show off your obsession for angling with TWC™ metal art. 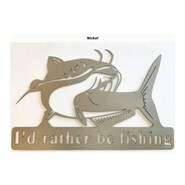 Made from CNC plasma cut steel, this is a must have for any man cave or garage.